Could I still fly without GPS? Somewhere in the blink of an eye, 20+ years have gone by since I learned to fly. Back when I was young, a semester seemed like a long time the first day you walked into school after vacation. A year seemed like forever and 20 years was an un-imaginable eternity. Not anymore. Looking back, 20+ years have gone by very fast. GPS navigation improved situational awareness tremendously and made long-range navigation a lot easier but I still fly as if the GPS could go away at any time. GPS is very reliable but in a small airplane you have to be conservative. More likely you could lose the electrical system altogether. 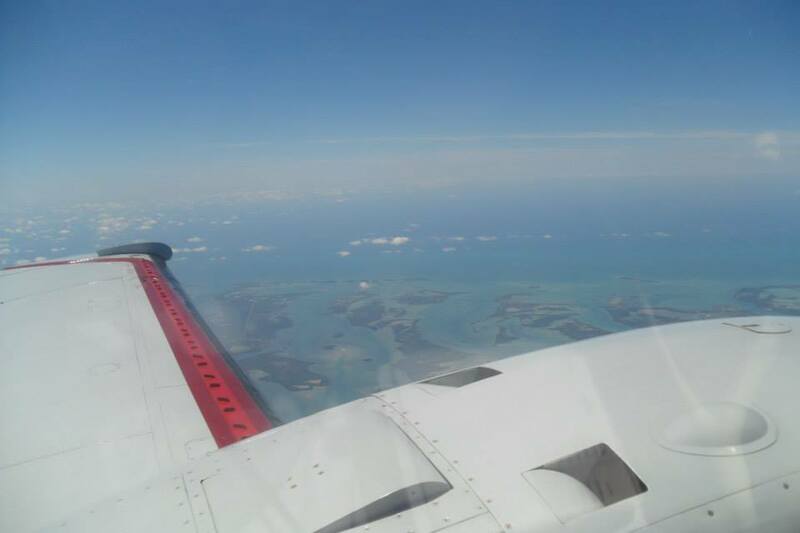 So whenever I fly over water I make sure I can get to my destination the old-fashioned way: compass and time. Plot your course, scribble down a nav log and if all else fails, just flying the compass heading over the specified times should put you close enough to your destination to pick up some local navigation aid or land VFR. The other day I flew without GPS for the first time since I don’t quite remember when. I was delivering a nice Beech Baron to the Yucatan and the owner had told me there’d be a brand new portable GPS in the plane. I have a bit of an aversion to gadgets and wires dangling in the cockpit so I rarely carry a portable GPS myself. When I got to the airport I set out to open the box with the owner’s new GPS but I gave up quickly. I didn’t want to spend much time or rob the new owner of the joy of setting up his new gadgets so I decided to just fly VFR the old-fashioned way. I took off in NC and had severe clear skies all the way to South Florida where I was stopping for fuel and customs. Over Florida at 14,500 feet I could see 80 miles, a gorgeous clear day. The next morning was more of the same, clear skies and light winds. I took off from Opa Locka and headed for Key West, where I finally found the first functioning NDB station since North Carolina (I’d been using VORs to double check my position). Fish Hook NDB and the Key West VOR gave me good navigation for better than 150nm out of Key West, then I was on my own until I got in range of the VORs in Yucatan, except for an occasional check of my position to Havana VOR. When I got in range of Cancun VOR I found my position to be about 2 miles off course. 2 miles seems like an awful lot nowadays in the era of GPS but it’s really not. I was flying VFR on a clear day and had good navigation when in range of my destination. I wasn’t going to miss the Yucatan by any stretch. Now in the really old days when people were flying without GPS to places like Hawaii or Wake Island, that would be another challenge. When I was approaching Opa Locka in South Florida, the controllers gave me several vectors around traffic and airspace. About 8 miles out of Opa Locka, came the dreaded “resume own navigation”. 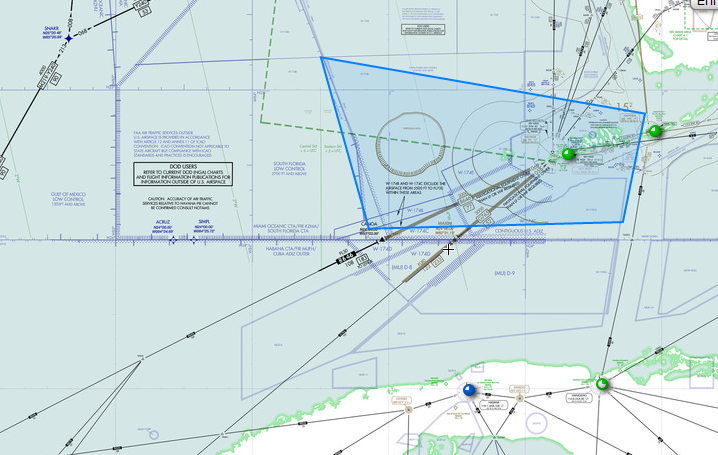 There’s no VOR at Opa Locka and the localizer had been NOTAM’d inop. I pointed the airplane to where I thought the airport should be but after 3 hours at 14,500 feet I wasn’t sure about my distance perception at low altitude. I looked at the airport in front of me and another one just to the North. I decided “almost sure” didn’t cut it, so I asked the tower controller (most have radar in South FL). The controller confirmed my position. Said he understood, most of the airports in S. FL have the same runway configuration and landing at the wrong airport is easier than you might think.